s windows allow for aggressive styling as well as enhanced cooling of the barrel. - ABSOLUTE CO-WITNESS RMR CUT - CNC Machined RMR Mounting position in front of the factory location of the rear sight. has positioning posts that hold the RMR at a center zero point on the slide. 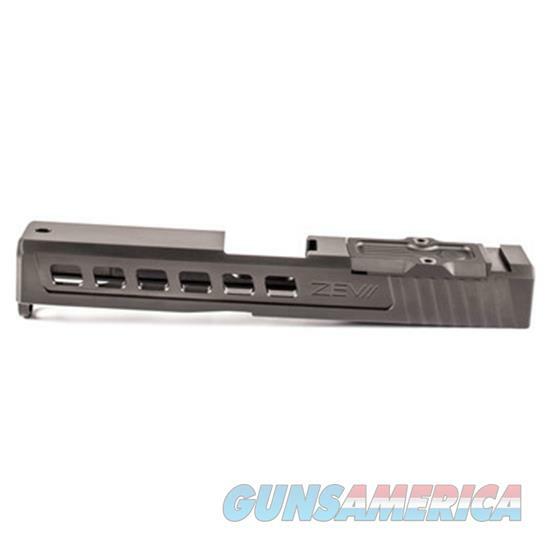 Slide comes with proper mounting screws for the RMR of any model. Co-witness sights are suggested for usage with this cut configuration such as the ZEV Co-witness sight set. Blue Loctite recommended for proper sight retention.